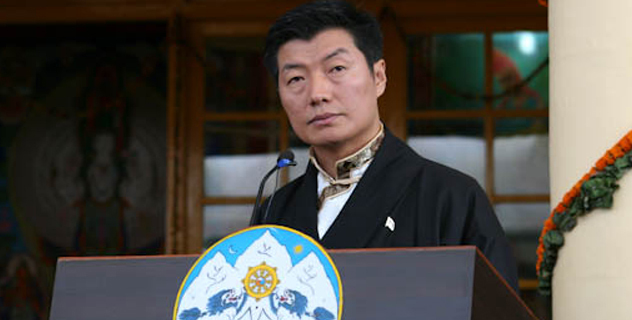 On the occasion of the second anniversary of the 14th Kashag, Sikyong Dr Lobsang Sangay gave the following exclusive interview to Tibet.net. The Kashag has consistently appealed to and discouraged Tibetans from drastic action, including self-immolation, as a form of protest. As human beings, we do not want anyone to die in such a manner. However, as Buddhists, we pray for the deceased. As Tibetans, it is our sacred duty to support the aspirations of Tibetans in Tibet: the return of His Holiness the great Fourteenth Dalai Lama to Tibet, freedom for the Tibetan people, and unity among Tibetans. The blame as well as the solution for the self-immolations lies with the Chinese government. The decision to apply for Indian or any other country’s citizenship is a personal choice. The Indian Citizenship Act of 1986 grants citizenship rights to Tibetans born in India between 1950 and 1987; and to those born after 1987 if “either of whose parents is a citizen of India at the time of his/her birth”. CTA cannot prevent any Tibetan from applying for Indian citizenship. At the same time, CTA cannot compel Tibetans to apply for Indian citizenship, as the application process entails surrendering both Registration Certificate (RC) and Identity Certificate (IC) documents to the Indian authorities. Also, the primary objective of CTA is political and to provide welfare services to Tibetans in exile. CTA issues bona fide Tibetan letters of support through our Offices of Tibet to those applying for citizenships abroad. We also issue “No Objection Certificate” (NoC) through our Department of Security to applicants for Indian citizenship. During my administration, we have so far, received exactly 14 requests for NoC and we have not withheld supporting documents for anyone.